Joseph J. Rucci, Jr. of New Canaan; Kathryn E. Diehm of Redding; and Amy S. Zabetakis of Darien. Rucci Law Group, LLC, announces the opening of their new firm in Darien as of December 2011. 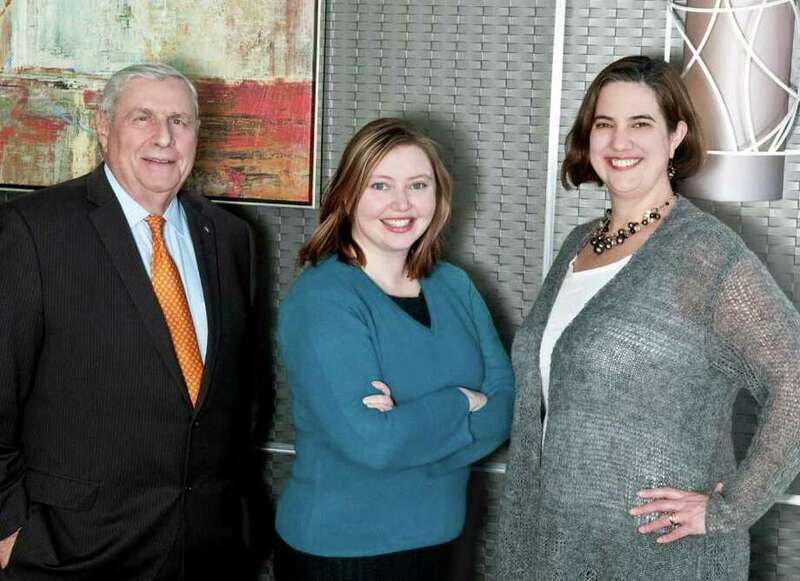 The firm's office is located at 19 Old Kings Highway South in Darien and led by partners Joseph J. Rucci, Jr., of New Canaan; Amy Zabetakis of Darien and Kathryn Diehm of Redding. Rucci Law Group aims to be a next generation law firm by employing state of the art technology and anticipating the legal issues and business challenges facing today's entrepreneur. The firm uses the latest technology including a document collaboration system to maximize the firm's efficiency, control costs, and be accessible to clients. "Our clients think about their business 24/7 When we tell clients they can visit a secure online website any time of day or night to review their documents, they are pleasantly surprised because they haven't experienced that with other firms," Diehm said. The firm's attorneys are sought out by clients because of their strong business sense in addition to their legal acumen. The firm excels at developing creative, practical legal solutions for businesses and their owners. As a result, the attorneys have become trusted members of their clients' business teams. "Attorneys in our firm are considered business friendly," Rucci said. "Clients often call us for advice on a business level, not just a legal level. " Partners Rucci, Zabetakis and Diehm possess vast institutional knowledge and many years of experience in practicing law in the local area. Rucci resides in New Canaan and is an entrepreneur at heart with many years of experience helping clients to solve their complex business and estate problems. He has been instrumental in starting new ventures for clients including a pharmaceutical company, several commercial banks, and a for-profit college and local school. He serves as executor and trustee for many clients, ensuring that their estate planning needs are met. Zabetakis practices in zoning, land use, real estate law and has tremendous legal experience in the local area as well as an extensive litigation background. She is a Darien resident who has a personal passion for the nonprofit sector and community development and has helped several not-for-profits resolve a variety of legal issues. Diehm is a corporate lawyer whose practice encompasses the unique challenge of Internet business and e-commerce. She is a Redding resident who also assists clients with intellectual property matters including trademark and copyright issues. Other attorneys at Rucci Law Group have many years of invaluable experience and local connections. These include Brendan Froehlich, Colette Symon Hanratty, John Hetherington, Ian Crawford, Jim Dempsey, Alberto Moris and C. William Tanzi. The firm also has a strong established network of lawyers nationwide and is affiliated with Zeldes, Needle and Cooper, P.C., a litigation firm in Bridgeport. "Rucci Law Group has been able to facilitate cases using our strong network of contacts in other parts of Connecticut and beyond," Zabetakis said. To learn more about Rucci Law Group, LLC visit www.ruccilawgroup.com or call 203-202-9686.